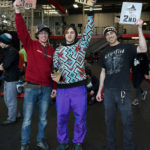 recROC’s signature annual indoor bouldering competition for novice and advanced climbers – Learn more and get registered! 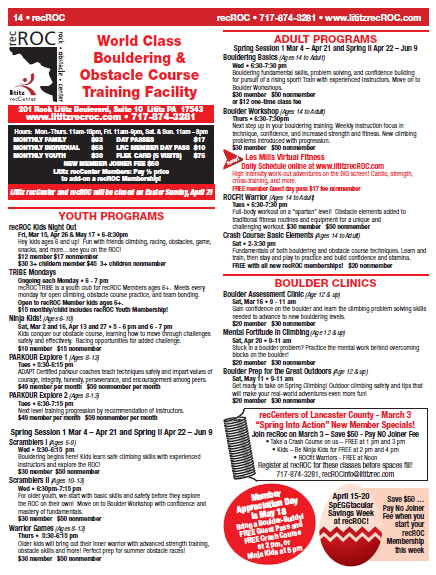 recROC hosts skills clinics for bouldering, functional fitness, and obstacle racing and training year-round. Check this season’s schedule for our latest clinics. 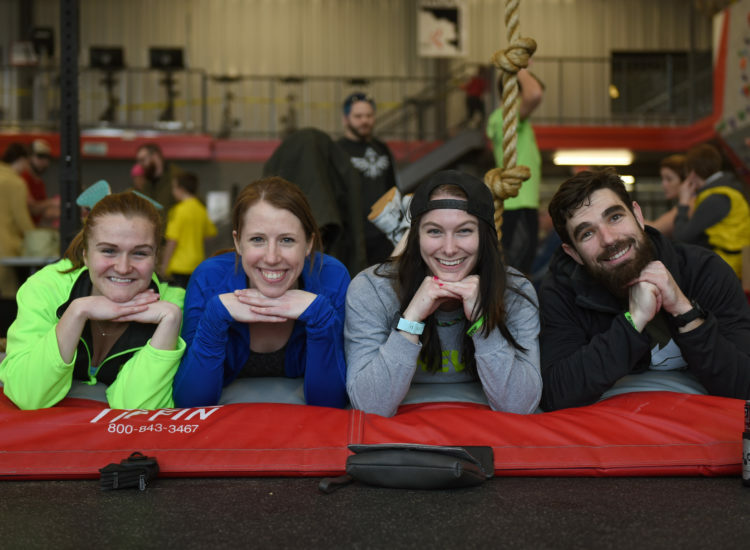 Come to recROC once and you will want to come back…with friends! Book a recROC party package for a birthday or special celebration. Reserve time for a visit by your team or group. Learn more about recROC reservations. Visit your favorite community recCenter for free, and be our guest at recROC with a $10 Day Pass! Register for these FREE classes before spaces fill… recROCinfo@lititzrec.com!